Praise is deserved where it is due. And today we believe the government, the Samoa Shipping Services and everyone else involved in the journey of seafarers who are heading overseas for employment deserve a pat on the back and to be congratulated. It’s such positive developments that should be encouraged and promoted, especially given the ongoing struggles to secure enough employment opportunities locally for our people. It comes at a cost of course. Family relationships will be put under enormous strain, men and fathers who are needed at home to help their families will be absent but that is the price to be paid. Indeed, while the income will no doubt be handsome, there are risks and challenges as is the case with everything else in life. The key is finding a balance and learning to manage these factors. Now when we talk about seafarers, we don’t give these men and women enough credit for what they do. The fact is without them inter-island travel would not be possible. Some of us take them for granted most of the time, especially when we travel between Savai’i and Upolu – and sometimes Matautu and Pago Pago – ever so frequently because they are always there. Rain or shine, these dedicated men and women are always standing by to cater for the public’s transportation needs. We know the ferry will always depart on time and we have this amazing trust that we will arrive safely at our destination. And we do. But there is more to seafaring than inter-island travel. Which is the exciting step we want to congratulate everyone involved for – especially the 52 seafarers who are leaving Samoa for greener pastures overseas. Twenty-one of them will be working on the M.S.C Cruise and the other 31 will be working on Cargo Ships. On Tuesday, the Samoa Shipping Services Ltd held a special ceremony to bid them farewell . At the same ceremony, Prime Minister Tuilaepa Sa’ilele Malielegaoi, had a very important message we believe they should take very seriously. “The most important thing that you have to know is to make sure you will not get into trouble and stay away from trouble,” Tuilaepa said. “Ninety five percent of the problems is caused by alcohol and that is why in the past years many of the sailors have been sent home. “You have to keep in your mind that the government does not give any second chances to anyone who has been sent home because of alcohol. Tuilaepa told them to always remember their families, churches, villages and especially their parents. 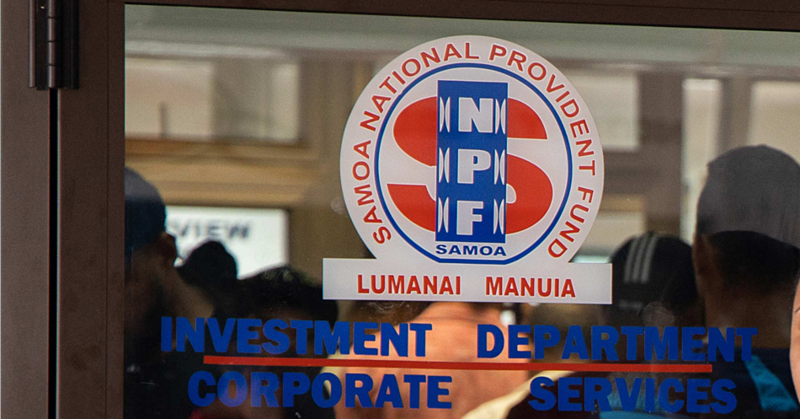 “You have to remember that you are carrying with you the Samoan flag and especially the image of every Samoan living here and around the world,” Tuilaepa said. Well said Tuilaepa. Some of them might think that they are just seafarers but they are more than that. They are Ambassadors for Samoa representing this nation and our proud people. Given that the places they will travel to hardly have any contact with Samoa, they might be the only image of Samoa strangers will have. And they need to make sure the image they present is a favourable one, one that will lure people to visit our shores. Prime Minister Tuilaepa went on to urge them to be faithful. “Be honest and faithful to your new calling and never forget to pray because that is where your strength comes from and especially your safety while you are on the sea. Speaking on behalf of all the seafarers, Peter Schmidt said they are grateful for the opportunity. The people of this nation will continue to pray for your Mr. Schmidt and all the other sons of Samoa who will be joining you. We wish you well and may God guide your paths.